Continuing the theme of macros for the popular text editor Notepad++. In this case we will examine more details edit and change the macro, and how to find it on the computer. Of course, instead of “USER” insert your username for the Windows operating system. 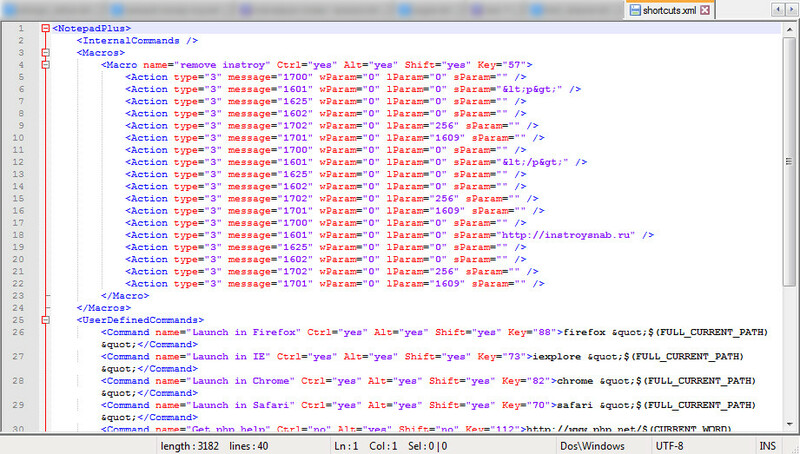 If you do not find this file “shortcuts.xml” then look for it inside the usual folder with the installation program. Open the file “shortcuts.xml” in ANOTHER text editor (e.g. Notepad) and look at its structure. 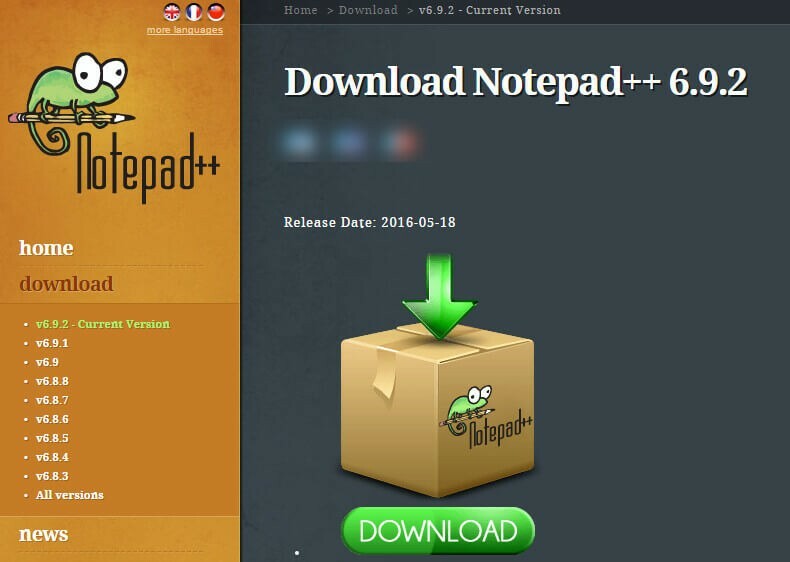 This is done due to the fact that when you change the text of the macro in the Notepad++ program, your data will be overwritten. The structure is the usual format .xml that describes the primary action performed by program commands. Code means that the name (name) macro is a “remove org”, followed by hot keys (the ability to run an action using the keys on the keyboard). In addition, the macro starts with a certain tag . Next is a list of actions that you may wish to swap, remove some of them etc. So you can change the action on your own and not to depend directly on your own computer, it is always convenient to send a separate e-mail to friends or customers or upload it to FTP, cloud storage. A bonus I am attaching the file with the individual commands and their description. Next articleWordPress or Joomla – what to choose when creating a website?